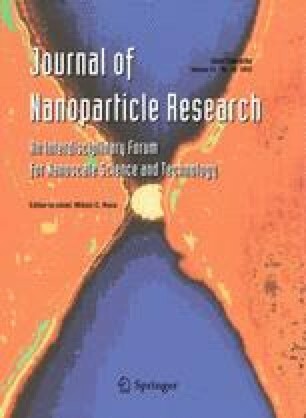 A gold-nanostructured surface has been obtained by stable deposition of chemically synthesized gold nanoparticles (2.1–5.5 nm size range) on a gold substrate through a dithiol linker. The method proposed for the obtainment of the nanostructure is suitable for the further stable anchoring of a peptide nucleic acid oligomer through four amine groups of lysine terminal residues, leading to fairly reproducible systems. The geometric area of the nanostructured surface is compared with those of a smooth and of an electrochemically generated nanostructured surface by depositing a probe bearing an electrochemically active ferrocene residue. Despite the area of the two nanostructures being quite similar, the response toward a 2 nM target oligonucleotide sequence is particularly high when using the surface built up by nanoparticle deposition. This aspect indicates that morphologic details of the nanostructure play a key role in conditioning the performances of the genosensors. Dr. Massimo Tonelli of the Centro Interdipartimentale Grandi Strumenti (CIGS—Università di Modena e Reggio Emilia) is acknowledged for the acquisition of the SEM images. The CIGS is also acknowledged for the use of the TEM instrument. C.Z. and R.S. acknowledge the Ministero dell’Istruzione, dell’Università e della Ricerca (MIUR, Rome) for the financial support from PRIN 2009 (2009YRH27R). E.L. wishes to thank the MIUR (Rome) and the University of Milan for the financial support from PRIN 2007 (2007F9TWKE_002) and PRIN 2009 (20093N774P_003). C.B. wishes to thank CNR-PM.P06.003.